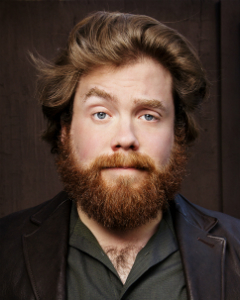 Dan St Germain was chosen as featured comic in Variety’s annual prestigious “10 Comics To Watch” list. Time Out New York has remarked that “St. Germain has a playful, freewheeling sensibility that sends the audience tumbling through daydreams of his design.” Dan’s Comedy Central special The Half Hour hit the airwaves earlier this year, and he’s now busy developing a script for 20th Century Fox. He has appeared on Late Night with Jimmy Fallon, Conan, Best Week Ever, John Oliver’s New York Stand-Up Show, The Electric Company, and a bunch of other basic and not-so-basic cable programs. Don’t watch his drunken racist rant on Oxygen. He was going through a rough time. He’s the creator and star of the web series Kicking Dan Out featured on My Damn Channel, is a collaborator with Above Average, and co-hosts a podcast with Sean Donnelly called My Dumb Friends, soon to be broadcast on Comedy Central Sirius. Dan’s been a guest on WTF with Marc Maron and The Artie Lange Show, starred in a SuperBowl commercial with Howard Stern, and was selected by Time Out New York as having one of the best jokes about New York City (a list that included Woody Allen). Dan’s first album, Bad at the Good Times, is forthcoming from aspecialthing Records. Check out In Security, Dan’s animated web series on Comedy Central Studios.